If you’re looking for spooktacular ways to celebrate this Halloween Perth, then Buggybuddys has a list of family-friendly Halloween events and experiences sure to be full of hair-raising fun! We hope you enjoy our Halloween Events Perth 2018 guide, have a great Halloween Perth! Be SPOOKED at AQWAs Halloween Kids Party! Dress up in your scariest Halloween costume for your chance to win some prizes. Starts at 5.30pm and finishes at 7.30pm. Hurry, tickets are limited! 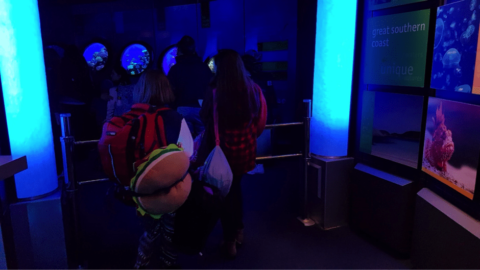 Enjoy the slimy and spooky decorations while you visit the aquarium. Doors open at 5.30pm and finishes at 7.30pm. Have a spooktacular Halloween at IKEA Perth! On Wednesday 31 October from 5-7pm bring the kids along for a fun trick or treat night with wicked witches and wizards. Make your way through the store and encounter spooky characters, interactive stations and yummy treats along the way. Don’t miss out on this wickedly fun Halloween night! Check out the webpage for details. It’s that spooky time of year again and we have our legendary Halloween Perth Spooktacular happening again!! With FREE face painting from Little Wishes, giveaways, fun activities and competitions, and loads of food specials, Full of Fun is the place to be this Halloween!!! Tickets are $10 each (adults are free!). Comment on the Facebook page with how many tickets you need to hold your spot (adults and children)! We always sell out so make sure you get in early! 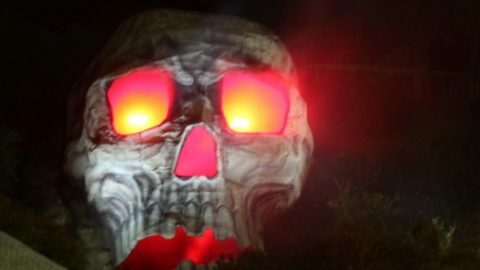 Join us for a night mission at our Bibra Lake Battlefield for Halloween from 7pm. Only $30pp if you wear your own costume OR $35pp if you want to hire our camouflage overalls. This spooktacular event is sure to have you all on your feet as you enjoy the Halloween music, take part in themed games and enjoy the creepy confectionery. Come dressed in costume and take advantage of our face painting and craft areas for no extra cost. Bookings essential. For just $15 per ticket these are going to be gone before you can say ‘trick or treat’ so don’t delay; message us today to BOOOOOk. Presented by Subi Voice of Youth – get ready for Halloween Perth with professional makeup artist Astrid Hansen. Learn how to use makeup to create a spooky skeleton look and experiment with fake blood – just in time for Halloween! This free event is for people aged twelve to eighteen. This is a strictly drug and alcohol-free event. Only 20 places available – Bookings essential! Book online from the 27 September. All participants will be required to complete a consent form, which must be signed by a parent or guardian for participants who are under 18. HALLOWEEN PARTY PERTH on Friday 26 October 2018 from 6.30pm to 9pm @ $10.00 per person. Tickets available online now. Fun Games, DJ, Play on all the Simulators. Café Open for food and beverages. 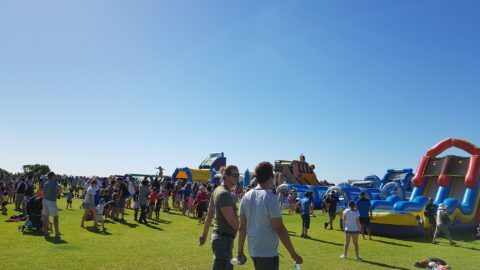 Choose from either our ALL AGES FAMILY FRIENDLY day session or our after dark ADULTS ONLY night session of fun as witches, vampires, ghost, ghoulies and other halloweenies gather together for Perth’s BIGGEST Halloween event at the Claremont Showgrounds. Wash your claws, brush your fangs and prepare yourself for some freaky fun as sideshow alley comes to life with ghost trains, show rides, fun and safe door to door trick or treating, costume prizes, entertainment and so much more monstrous mayhem that will have both young and old not wanting to leave! Let’s make this year’s Halloween time spooky and fun with singing and dancing with good friends, play dress up with fancy costumes, having delicious food and a lot of laughter. Oasis Restaurant will be having a Halloween party together with DJ/Host June Oronce. Free admission and you can pre-order or even order your dinner during the event. There will be special prizes to be given away such as Best dress/costume of the night and a lot more surprises. 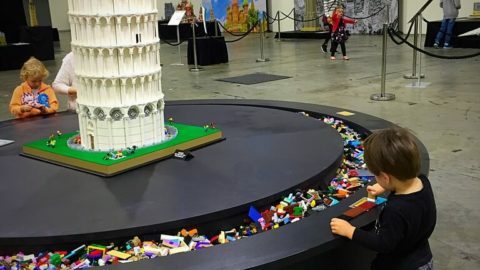 Looking for a FUN and SAFE way for the kids (and adults!) to celebrate Halloween this year? Southern River Scouts are running a “Halloween Lazer Blaze Fundraiser” with all proceeds to support our Scouts attend the 2019 Jamboree. Come dressed in your best Halloween Costume and play for 3 hours. There will be lollies, ghoulish snacks & drinks available to purchase. Players must be over 7 years old and wearing joggers or sneakers. Drinks and Snacks available to purchase at the venue – cash only. Tickets can be purchased online via https://www.trybooking.com/405537 – $30 per player (includes 30c Trybooking fee). Prepare to be SPOOKED at the Thrillage at Wellard! Hosted by the Village at Wellard Residents Association, children of all ages are invited to explore our Halloween house and enjoy a trick-or-treat treat! Follow our map of houses (http://halloween.wellard.net.au/map) participating in trick or treating and get dinner sorted with a takeaway from our Wellard Square foodies. Come join us at Coogee Surf Life Saving Club for a Spooktacular evening. We are having a Halloween Disco. So, if you don’t want to be walking the street knocking on doors for your treats Coogee Beach Surf Life Saving Club is the place to be this Halloween. With support from our major sponsor City of Vincent, Halloween on Angove St will turn our beloved Angove strip into a captivating picture of pumpkins, black-cats, ghosts and goblins. We invite all local residents to join us for the Halloween themed live music, face painting, photo booth and festivities! All Children are totally encouraged to dress up in whatever fancy dress outfit they like if they wish to. 7.00pm, End of the party! Halloween lolly bag will be given out as the children leave. All Parents & Guardians are kindly asked to collect your children at 7.00pm and to leave the function room area. You are more than welcome to stay in the tavern area for as long as you wish. Bookings essential. Tickets can be booked online for $10 + booking fee. Parents please note if you wish your child(ren) to eat you are more than welcome to order and pay for their own meals from the bistro as and when required. Please contact Gemma e-mail address; [email protected] or phone on; 9309 4288 with any questions. On Wednesday 31st October from 5-8pm it’s our family-friendly Spooktacular Halloween Party!! Come and join us for dinner and lots of SPOOKTACULAR fun!! We have DJ’s Pep & John playing the scariest of songs. There will be games and lots of dancing fun with prizes to be won!! And we’ll be handing out lots of lollies to all the girls and boys just for joining us!! We encourage all members of the family to dress up and have some fun. There will be prizes for the best costumes. These type of events book up very quickly. Please secure your table for dinner ASAP. Looking forward to a great evening with you all. Looking for something fun to do with the kids this Halloween? Then why not get them into a costume and head on down to #WaterfordPlaza for our special Trick-or-Treat event! 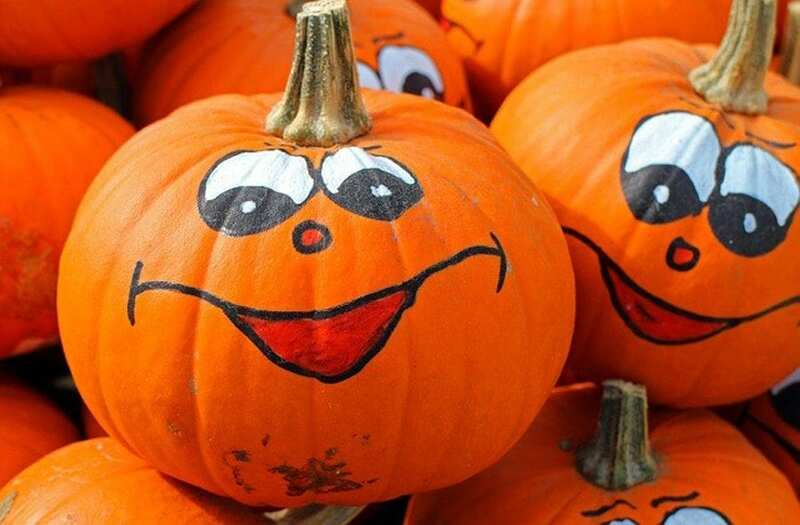 Located on the High Street there will be a Halloween themed craft workshop, face painting and a special map for you to follow on your Trick-or-Treat journey throughout Waterford Plaza. The event is free to attend, however, you will need to register for a start-time, with each group having a maximum of 10 children. Times available will be every 15 minutes with the first session starting at 2:30pm and last session at 5:15pm. The Trick-or-Treat journey must be completed after your Craft workshop booking. Please arrive at least 5 minutes before your session is due to start. Face painting is FREE for all attendees at any time throughout the event. 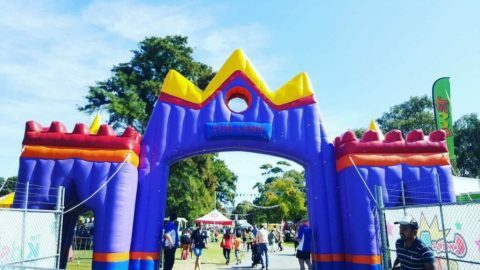 On October 31, The Grove is the best place for families with younger children from Cottesloe, Mosman Park and Peppermint Grove to enjoy the thrills of Halloween! As this event has become so popular, we are introducing a small entry fee of $5 per child (parents are free! ), for spooky stories, games, a costume competition, the spooky maze, a sausage sizzle and much more. See you at The Grove for the spookiest, scariest night of the year! Another free community event for the children – join us for some Halloween fun, prizes for best dressed, face painting, photos with the witch and much more. Free event – tickets available online. Fremantle Prison will have you screaming with fear and delight again this year with the return of our popular Halloween tours. Join our guides in the dark as you visit cells protected by the spirits of lost souls, encounter dark corners and ghostly shadows. Get into the spirit, join the fun and come dressed in your Halloween best. There’s safety in numbers, so why not get a group together and get ready to scare yourself silly. There’ll be no point screaming if you miss out!